Patient recruitment delays are common challenges in clinical trials that can lead to costly delays. In fact, nearly 80 percent of patient recruitment timelines in clinical trials are not met and over 50 percent of the patients are not enrolled within the planned timeframes. 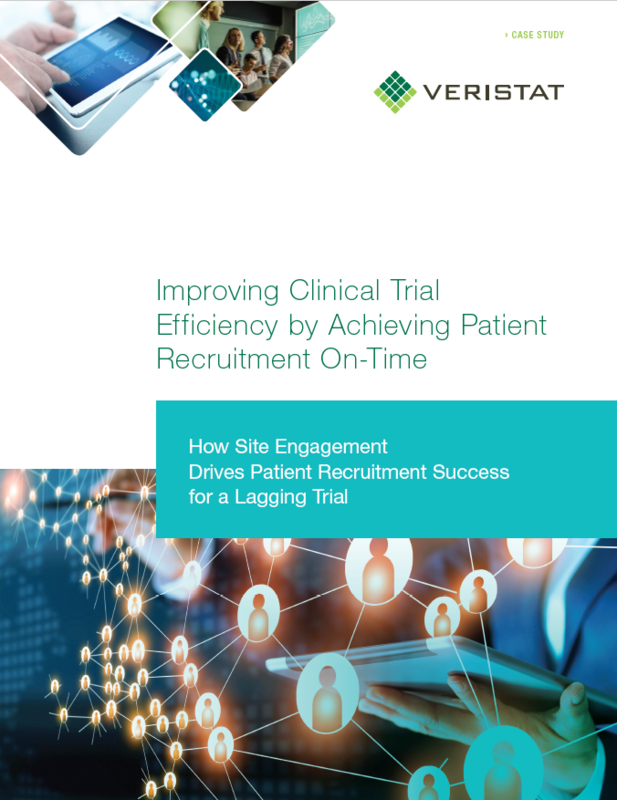 To improve your trials’ efficiency, Veristat utilizes a proven strategy of site engagement techniques to keep patient recruitment and enrollment on track. Learn how we rescued an ongoing safety study that was struggling to meet its patient recruitment goals. Through our site engagement techniques, we recruited more patients in 66% less time.